17 | July | 2015 | Sally Ember, Ed.D. 07/17/2015 by Sally Ember, Ed.D. I appreciate and admire everything about this post, especially because I am a lifelong #bisexual woman and also because I am a researcher, writer, sexuality educator and compassionate human being, as you clearly are, also. 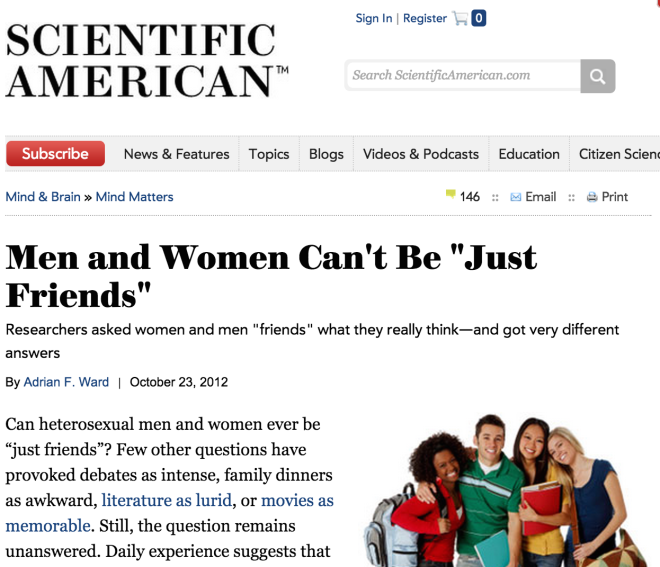 [Image: Scientific American, Headline reads “Men and Women Can’t Be ‘Just Friends'” NO.